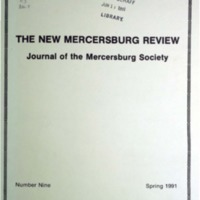 The New Mercersburg Review is the journal of the Mercersburg Society. 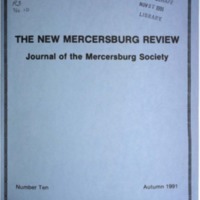 It began publication with issue 1, Autumn 1985, and continues to the present. 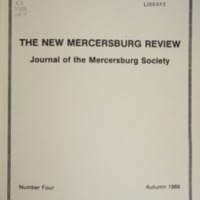 This periodical is also available in print at Schaff Library. 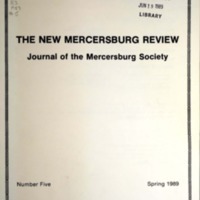 Those wishing to subscribe to the New Mercersburg Review are encouraged to join the Mercersburg Society. 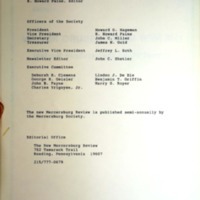 A membership application is available on their website. Click a thumbnail below to access the digital issue. 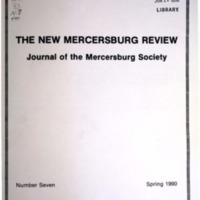 Click one of the menu links or use the links at the bottom of the page to browse to a different set of issues. 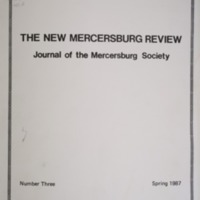 John Williamson Nevin's The Anxious Bench and Evangelical Piety / Charles Yrigoyen, Jr.
To Be the Church: Nevin's Critique of Sectarianism / Martin Cox, Jr.
Communion for Children: Light from Mercersburg on a Contemporary Issue / R. Howard Paine. 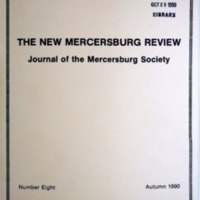 Incarnational Worship / Carl P. Mitchell, Jr.
Emanuel v. Gerhart: Systematic Theologian of the Mercersburg Theology / Charles Yrigoyen, Jr. 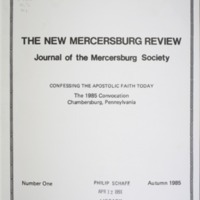 The Contributions of the Evangelical and Reformed Church to the United Church of Christ / Richard T. Schellhase. 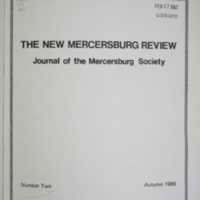 The Implications for Christian Unity in the Theology of John Williamson Nevin / F. Russell Mitman, Jr.
Ecumenical Efforts at Liturgical Reconciliation: Word and Sacrament / Horace T. Allen, Jr.